The whole ibis Styles Antony Paris Sud team wishes you a warm welcome. Discover our hotel and its optical art design. You will be astonished by the combination of color and light used in each space. See you soon. Franck Ris, Manager. 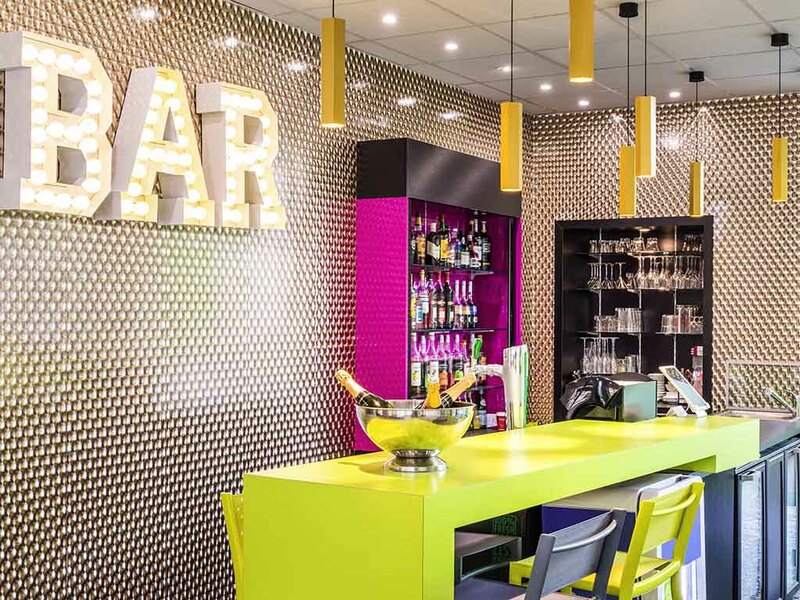 The ibis Styles Antony Paris Sud, open since March 2016, is ideally located on the Antony Pôle business park and close to Orly airport. This design hotel features contemporary, air-conditioned rooms, a bar and a restaurant. If you are staying with us for leisure, book our family suites which can accommodate up to four people. For your business stays, our two seminar rooms have everything you need for your meetings. Direct access from the A6 and A10 highways. Private hotel car park. Leave your vehicle here between flights. Close to Orly Airport, the Rungis International Market and the SILIC Rungis district. Relax and recharge your batteries in our bar. Have a drink under the stars on our patio in the reception area.